At USA Automotive, we know that you chose a Toyota vehicle because of its reputation as a reliable, well-built, durable vehicle. It’s our job to make sure that your vehicle continues to perform its best, and we take that responsibility seriously. Whether you drive a Prius, Camry, Highlander, 4Runner, Tacoma, or Tundra, it is important to ensure your vehicle is properly maintained. Services like oil changes, wheel alignments, and brake services are all an important part of maintaining the overall health of your vehicle. Avoiding maintenance services can lead to major (and costly) repairs in the future, so it is important to bring your Toyota in for regular “check -up” services to avoid any serious problems in the future. Raleigh is a great place to be – just hours away for both the beautiful North Carolina mountains and beaches – and we want to be sure your vehicle is ready for your travels, no matter where you go. We employ only the best technicians on our staff, which is why they are all ASE Certified. That means that you can put your trust in their automotive training, experience, and expertise to provide your vehicle with precise service. We know Toyota models inside and out, and have decades of experience in solving all types of automotive issues. 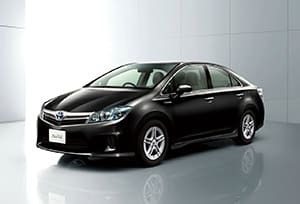 Depending on the make and model of your Toyota, there are slight differences and quirks in the way the vehicle is made. Our team will let you know of any services needed for your individual vehicle. Of course, we realize your Toyota is a large investment, and we will work with your budget to help prioritize any repairs needed. In fact, we stand behind our leading 3 year/36,000 mile warranty on all of our maintenance services and repairs. We use the latest diagnostic equipment and tools to ensure that your car, van, crossover, truck, or hybrid receives the most accurate service possible. No matter what type of service your Toyota needs, you can rest assured knowing that it is in great hands with our team at USA Automotive. Request an Appointment for Toyota Service Today! Our team is dedicated to not only providing your Toyota with the best maintenance and repair in the Triangle, but we also want to provide you with an excellent experience as our customer. For your convenience, we provide appointment requests online and a member of our staff is always available during our business hours to schedule an appointment over the phone. 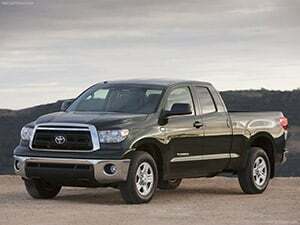 Simply give us a call at 919-249-5295 and let us know when you are available to bring your Toyota into the shop. 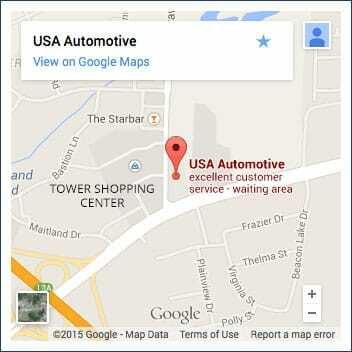 We look forward to taking care of you and your vehicle! If you’re in need of Toyota repair in the Raleigh area, give us a call at (919) 249-5295, schedule an appointment online, or stop by today. We’re excited to show you why USA Automotive remains drivers’ first choice for all of their automotive needs.